Our in-depth study looks into the balance between the ECB’s expanded mandate, its unrivaled independence, and its democratic accountability. It analyses the transparency provisions, which may compensate a lack of democratic control, and the ECB’s integrity framework, making far-reaching recommendations. This report is published at a time when the ECB faces a major dilemma. 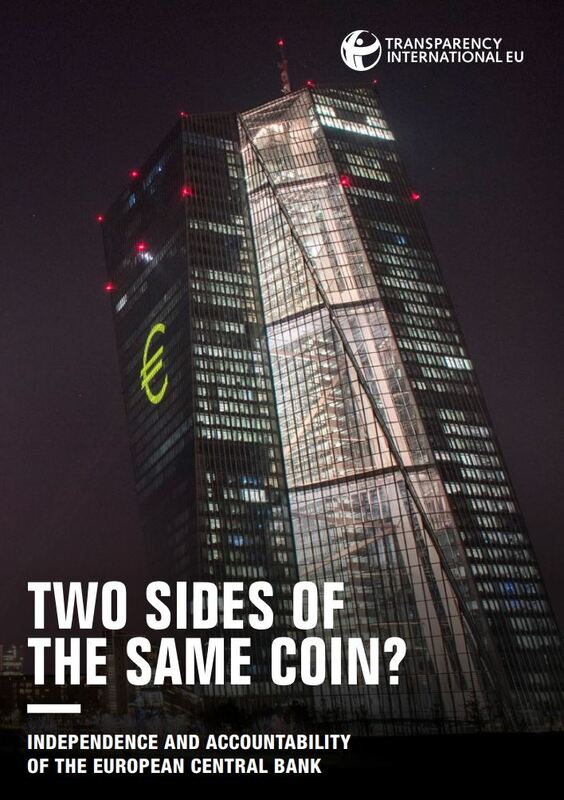 Because political inertia has to date prevented the establishment of a sustainable institutional architecture for the Eurozone, the ECB’s role in safeguarding the euro is as indispensable as ever. The ECB emerged as the decisive actor in the euro crisis, with an extraordinary degree of latitude thanks to the statutory independence enshrined in the EU treaties: Governing Council members may not seek or take instructions from member state governments or European authorities to protect it from political interference. At the same time the ECB faces a significant decline in public trust, which alongside its expanded responsibilities put considerable strain on its accountability. The relationship between the ECB’s independence, its mandate, and its accountability lies at the heart of this report. This arrangement is intended to ensure the legitimacy of a body that has deliberately been placed outside of democratic politics. Given its independence, the ECB’s accountability consists of answerability rather than democratic control: The President and the Chair of the Supervisory Board must report to the European Parliament and to the Council. Yet the extraordinary measures taken by the ECB since 2008 have tested the ECB’s mandate to breaking point, raising the question if its accountability framework is well adapted to this new era of highly interventionist central bank policies. The first decade after the creation of the euro in 1999 was plain sailing for the ECB, and the robustness of this institutional arrangement was hardly tested. That changed radically in 2008, when the collapse of Lehman Brothers plunged the world into a global financial crisis. In the euro area, where it led to mutually reinforcing banking and sovereign debt crises, the ECB emerged as the dominant force in European economic governance. The ECB assumed the role of lender-of-last-resort to the banking system, which, although not specified in the Treaties, has historically been a core function of central banks. After Mario Draghi vowed “to do whatever it takes to preserve the euro” in 2012, his Outright Monetary Transactions programme brought years of financial market speculation against several Member States to an end. By launching its own version of quantitative easing, the expanded asset purchase programme, the ECB saw off the deflationary threat and contributed towards the recovery in weaker economies that today seems to be gaining pace. As the lender-of-last-resort, the ECB stopped accepting Greek government bonds as collateral, forcing Greece’s banks to borrow from their national central bank under the Emergency Liquidity Assistance (ELA) procedure. Since ultimate control over the maximum lending ceilings under ELA remains with the Governing Council, the latter could use this control to exert significant pressure on the Greek government in its negotiations with the Troika of international creditors. The ECB did not publically communicate its ELA fine-tuning decisions. The fact that the ECB is part of the Troika, alongside the European Commission and the IMF, while being responsible for Greece’s monetary policy, reinforces the political dimension of these ‘technical’ tasks. The success of President Draghi’s Outright Monetary Transactions announcement was preceded by secret letters from the ECB to the Prime Ministers of Spain and Italy, which made support from a similar bond-buying programme conditional on specific reforms to be achieved within a timeline dictated by the ECB. A 2011 letter to the Irish Finance Minister threatened to end ELA if Ireland did not submit to a bailout programme, which brought intrusive reform conditionality and goes far beyond the ECB’s narrow mandate. Finally, quantitative easing constitutes a monetary policy experiment, the distributive, financial and macroeconomic consequences of which vastly exceed conventional monetary policy. In the week ending 17 March 2017, the balance sheet of the Eurosystem showed assets worth almost four trillion euro – € 3,856,913,000,000. These developments amount to a significant expansion of the ECB’s role in the governance of the euro area. This leads to two fundamental concerns: central banks have been overburdened, and this is putting a severe strain on the institutional arrangement that underpins the ECB’s partial exemption from the principle of democratic accountability. In addition to the uneasy balance between independence and accountability, this study presents a systematic overview of the ECB’s integrity framework. Improvements are needed in how conflicts of interest are managed; in particular, members of the Governing Council do not presently file public declarations of interests and assets, a standard precaution in economic and political institutions. Adjustments also need to be made to the Ethics Committee, which is chaired by a former ECB President and therefore not as impartial as it should be. A particular risk is posed by the phenomenon of the revolving door. Many Executive Board members have gone on to accept posts in private finance, even while none of these highly accomplished civil servants had significant professional experience in the private financial sector prior to their Executive Board tenure. The behaviour of an institution’s leadership matters in setting an example to staff. 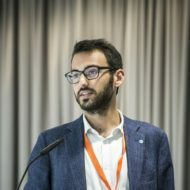 Banking supervision presents a particular risk in this regard, and uneven cooling-off periods should be strengthened to ensure the integrity of the euro area’s new Single Supervisory Mechanism, including a transparent procedure to assess whether a particular post-office employment is in line with cooling-off periods. Detection of conflicts of interest, corruption and other wrongdoing is also hampered by the outdated whistleblowing framework, which does not compare well to international best practices aimed at encouraging prospective whistleblowers to file reports. In the absence of an institutionalised mechanism for anonymous reporting, only two informants came forward in 2016, reflecting how difficult it will be to create a culture conducive to integrity. The ECB should adopt a new and public whistleblowing procedure with the option of anonymity. Lastly, in view of the ECB’s discretion in supervisory practices, the wide-ranging impact of its purchases of private-sector securities, and its role in global regulatory bodies such as the Basel Committee on Banking Supervision, a much higher level of transparency is needed on the ECB’s meetings with lobbyists. An encouraging step in the right direction is the recent publication of Executive Board diaries with a three-month delay. But the ECB should go further and join the EU Transparency Register, and prohibit meetings with unregistered private interests. While meetings of individual banks with ECB supervisors pertain to regular supervision, it is clear that meetings with the European Banking Federation and national banking associations fall firmly within the scope of the transparency register. Although significantly more ground is covered in the full report, this selective overview illustrates the key argument: While the ECB has done more than any other actor to save the financial and economic system of the euro area from collapse, its crisis-related activities went well beyond what its architects had envisioned as the central bank’s role, and require greater scrutiny. The fact that the ECB repeatedly finds itself in situations in which its decisions can precipitate the disorderly exit of a euro area Member State points to fundamental structural flaws in the Eurozone. Our case study on the provision of ELA to Greek banks in 2015 shows that this type of ECB overreach is firmly built into the institutional architecture of EMU, allowing the ECB to use its power over monetary policy to exert pressure on Member State governments. This may happen again: Not only are Greek banks still borrowing under ELA, its volumes also increased in February 2017 after a period of relative calm, in the context of yet another standoff between Greece and its creditors over a review of its third ‘bailout’. The second case study on the re-capitalisation of Monte dei Paschi di Siena equally shows that the ECB has been drawn into highly political decision-making that belies its technocratic image. Often this has been done with the tacit support of national and EU-level political institutions, which are all too keen to shirk their responsibilities and let unelected technocrats to do the ‘dirty work’ for them. Here, the ECB should assert itself and not let its political counterparts off the accountability hook. The ECB’s accountability framework is not appropriate for the far-reaching political decisions taken by the Governing Council. This can be mitigated in part by greater transparency in the ECB’s decision-making procedures. Making the single currency resilient and therefore sustainable will however require a more fundamental reform of Eurozone governance in general and of ECB accountability arrangements in particular. This should be addressed in the context of current debate on deepening EMU by 2025. Any ECB communications to national governments that state conditions in exchange for supportive monetary measures should be co-signed by the President of the Eurogroup and the European Parliament. In addition, such communication should be public. To avoid mission-creep and secure political backing, the ECB should seek an agreement with the European Parliament and Eurogroup that outlines the political approval procedures for measures that go beyond its mandate but could help avert or contain a crisis. The ECB should no longer play a substantive role in the Troika and should have no formal role in the negotiation and monitoring of the conditions for receiving ‘bailout’ funds. This is at odds with its narrow mandate and the fact that it is responsible for the monetary policy of the country under surveillance. The ECB should not shy away from publically countering politically motivated statements that are factually wrong or misleading. Exaggerating the extent to which the ECB’s work is ‘purely technical’ stands in the way of engaging in public debates about the euro. The ECB should make it a rule to publish its decisions, recommendations, and opinions. Any exceptions should be explained proactively to the European Parliament. The ECB should join the EU Transparency Register and require that private interests falling under its scope must register before being eligible to meet members of ECB governing bodies and other staff with decision-making prerogatives, unless these meetings are required in the context of banking supervision or to safeguard financial stability. Meetings should be published within two weeks. The ECB should update its access to documents regime, reducing the number of exceptions to disclosure. It should clarify that ‘administrative tasks’ include decisions relating to the supervision of banks. With regard to monetary policy, the ECB should make its voice heard not only among experts and financial market participants but also among representatives of the ‘real economy’ and the general public. We endorse recent calls for ECB banking supervisors and national supervisors to improve the disclosure of bank-level supervisory data, thereby following international best practice. The European Parliament should be given confirmation power in the appointment process for Executive Board members. The purpose of such parliamentary hearings should be to determine the competence and integrity of candidates in a non-partisan way. The ECB should publicly report to the European Parliament on any positions its representatives take in meetings of international bodies, such as the Basel Committee on Banking Supervision. These organisations have a major role in setting standards and legislation for banks worldwide. The ECB should create a public version of the tool it uses to provide an overview of the supervision of Eurozone banks, the SSM Supervisory Dashboard Pilot. This will allow the public to assess whether ECB banking supervision is achieving its objectives. The ECB should be the official “lender of last resort” to all significant Eurozone banks under its supervision, taking over this role from national central banks. This will simplify the process and thereby increase both transparency and accountability. The ECB should overhaul its whistleblowing framework, adopting a clearly identifiable and public whistleblowing policy, which sets out in detail how reports will be investigated and includes the option to report anonymously. It should also follow best practices to encourage prospective whistleblowers to come forward. Members of the ECB Governing Council and senior ECB officials should be subject to a cooling-off period of two years, as foreseen in the EU Staff Regulation and the soon to be adopted Code of Conduct of European Commissioners. A formal and transparent procedure should be instituted to assess post-office employment for senior ECB executives, overseen by the Ethics Committee, rather than the Executive Board. Members of the Governing Council and in particular the Executive Board should file public declarations of interests and assets. The five-member Audit Committee currently consists exclusively of former or current central bank governors and (vice) presidents. Bringing in at least one outside member would strengthen the capacity of the Committee to perform its important control function.